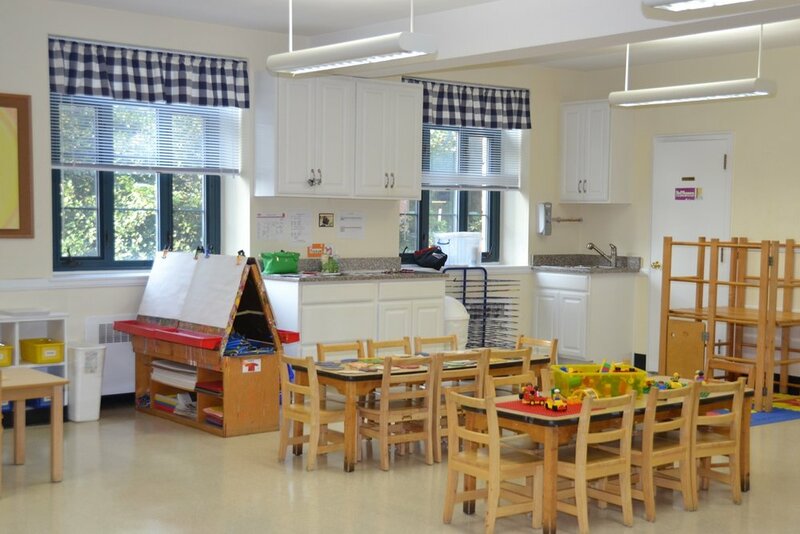 Our five sun-filled classrooms offer areas for dramatic play, sensory tables and manipulatives. There are spaces to gather for story time and for art and cooking projects. 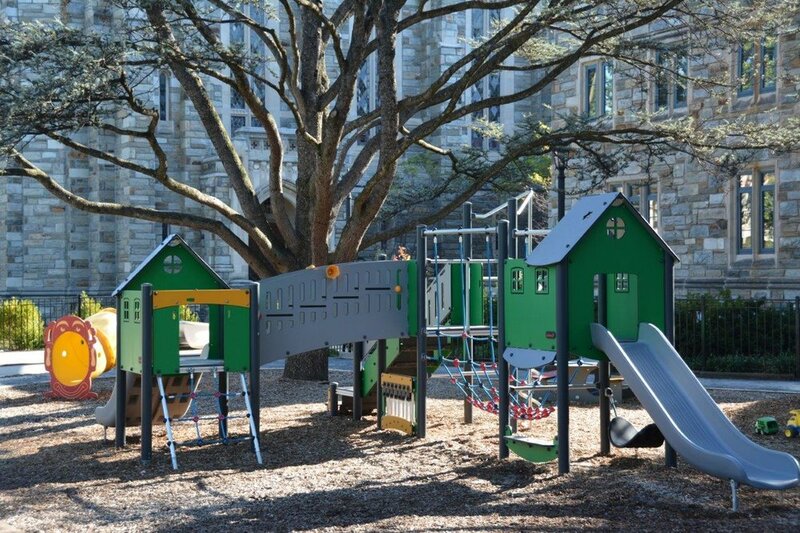 Our playground, renovated in 2016, is the school's centerpiece. Children enjoy plenty of time outdoors to run, to play, and to make friends. Every week, we hold movement and music programs and visit the historic sanctuary for chapel.